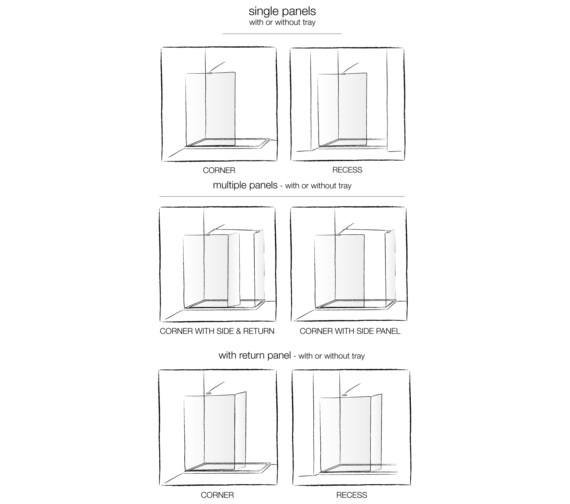 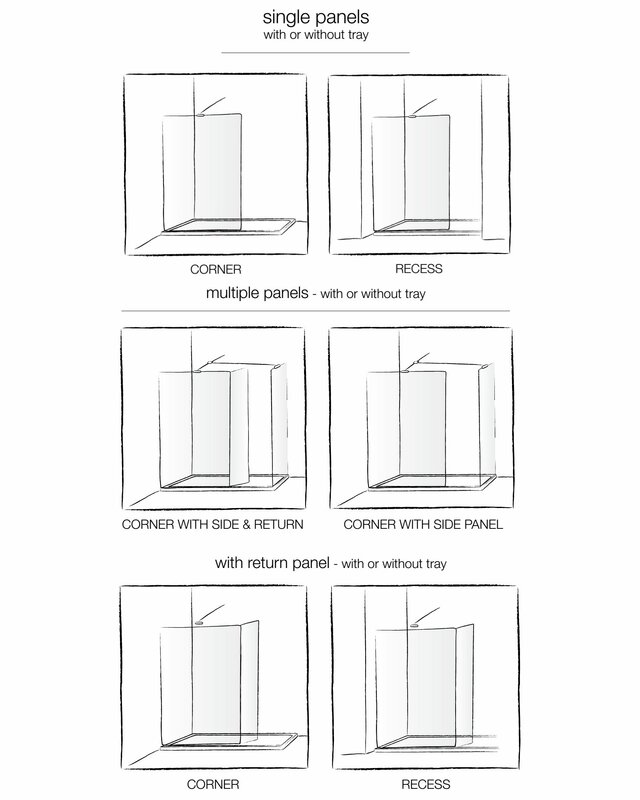 Optional Products: Return Panel, Side Panels, Trays, Waste and Riser Kits. 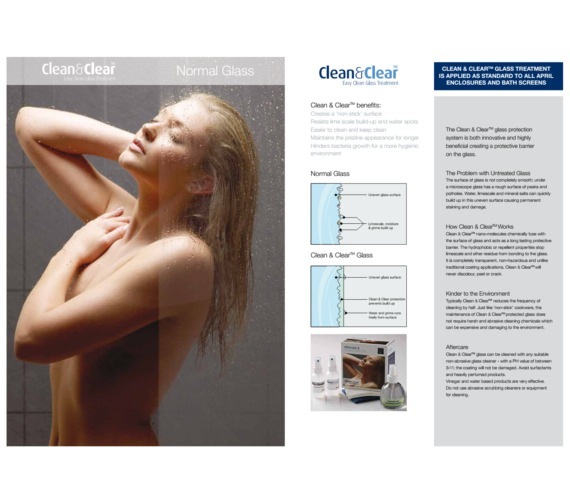 The April Prestige Frameless Wetroom Panel is an attractive and practical solution towards creating your personal bathing haven. 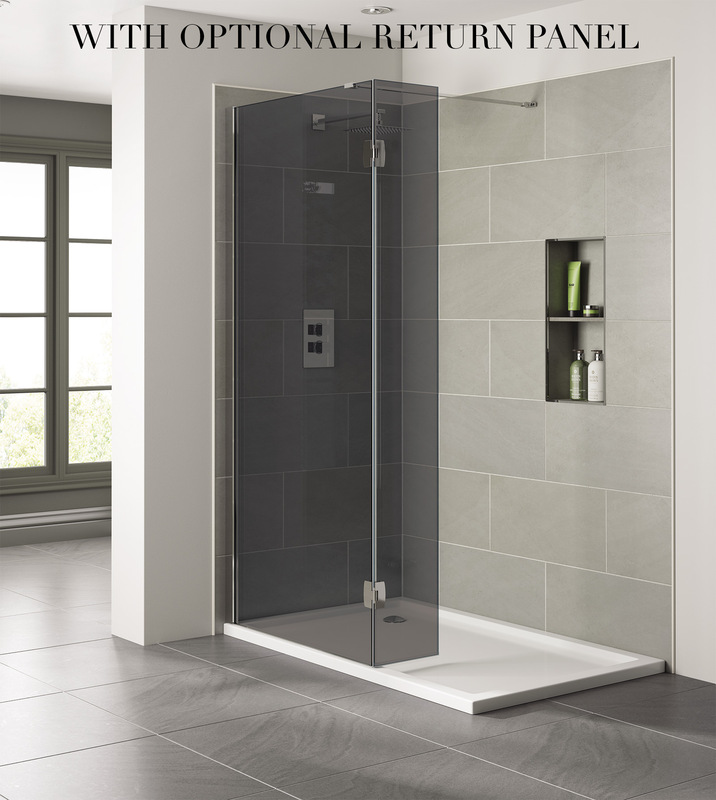 It is exquisitely crafted from smoked, toughened safety glass which not only makes it durable but also gives it a cool, opulent look. 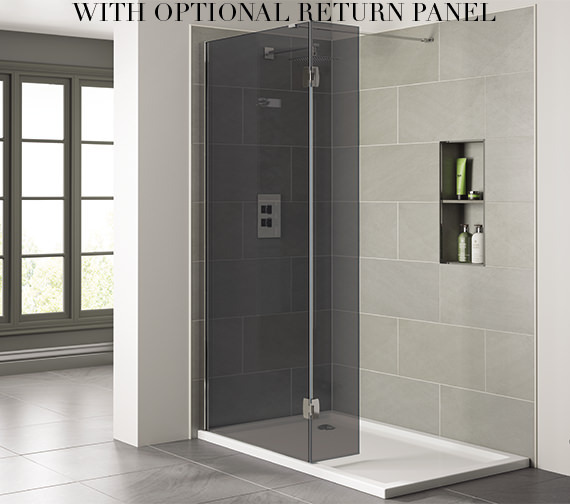 Supplied with a wall-mounting stainless steel support arm and profile covers, it provides stability and allows you to shower in a safe and secure environment. 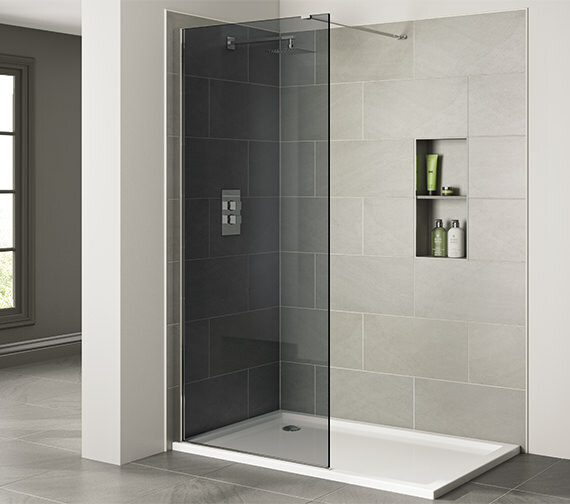 Designed for use with wetroom flooring and walls or with an optional tray, it is bound to create an open sanctuary within your living space. 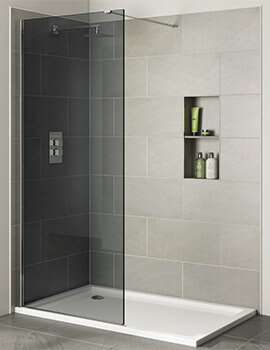 The fully concealed fixings give it a seamless and professional look. 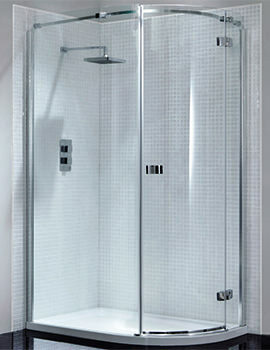 It is treated with the Clean & Clear easy clean glass protection coating to repel dirt and staining with ease.